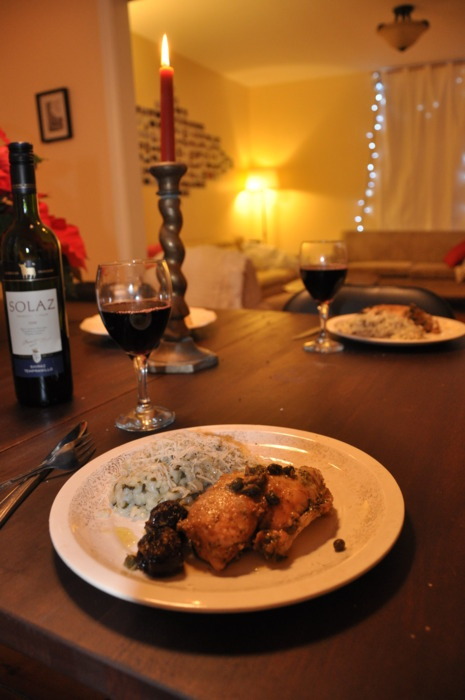 Chicken Marbella - My mom makes this for company - so excellent - I had to try it for myself. The recipe is from the Silver Palate which was apparently the book (and store) that sparked the Mediterranean cooking movement in the 70s & 80s. The second book was called The Silver Palate Good Times Cookbook - which to me sounds like the quintessential 70s cookbook. 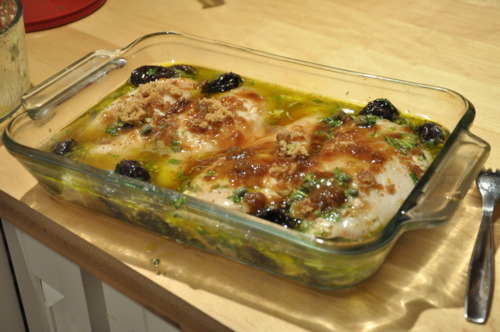 You marinate the chicken in all kinds of seemingly random ingredients like pitted prunes, capers and vinegar - I suggest marinating in a bowl instead of a casserole dish so the chicken gets marinated on all sides. Before popping it in the oven you add a copious amount of brown sugar and some white wine (I love recipes that use wine). I blame my interim apartment at the time which was not the best place for entertaining. 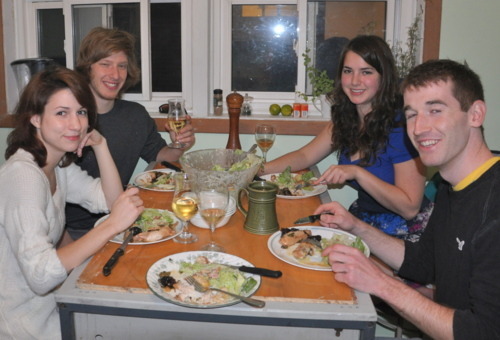 The second time around was much better - after all I had a beautiful dining room to entertain in! I found those candlesticks in the backyard! Even the backyard of this house is classy! Combine all ingredients, except the last 3, in a bowl. Add more olive oil if the chicken is not entirely coated. Marinate in the fridge for at least 2 hours. Lay the chicken in a casserole dish and add white wine and brown sugar. Cook at 350 for 30-40 minutes.